The fact that I’ve never been a huge fan of Japanese food, especially sushi, goes down as well with people as when I tell them I don’t like avocado or lemon drizzle cake. I get looks of ‘who even are you?’ when I turn it away. However (and here’s a pretentious warning alert), some foods taste better the closer you are to their origin. Tofu in China is unbelievable, pizza in Italy is obviously amazing, and although I’m not due to visit Japan until later this year, the Japanese food I had in Shanghai is the best I’ve ever had and has completely converted me. 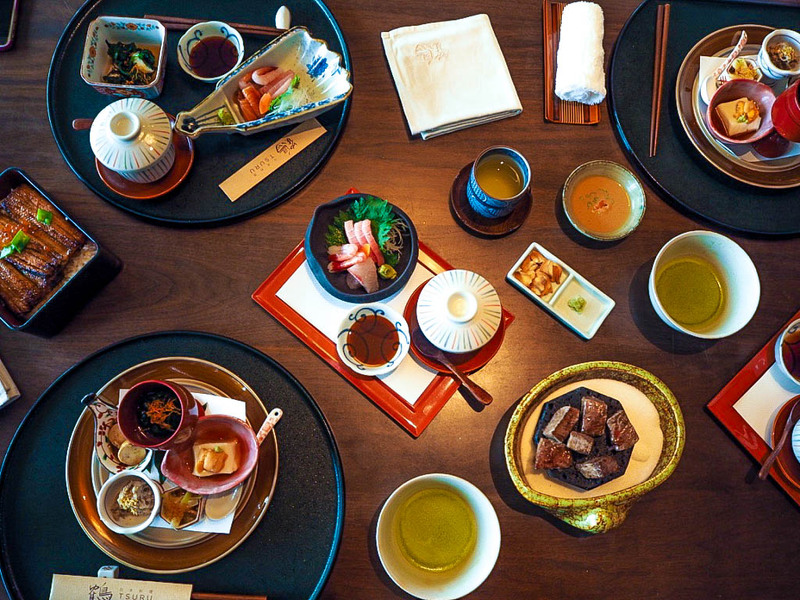 Tsuru is based in the beautiful Shangri-La hotel in Shanghai’s West Nanjing area and specialises in kaiseki cuisine, which is Japanese for a multi-course dinner. 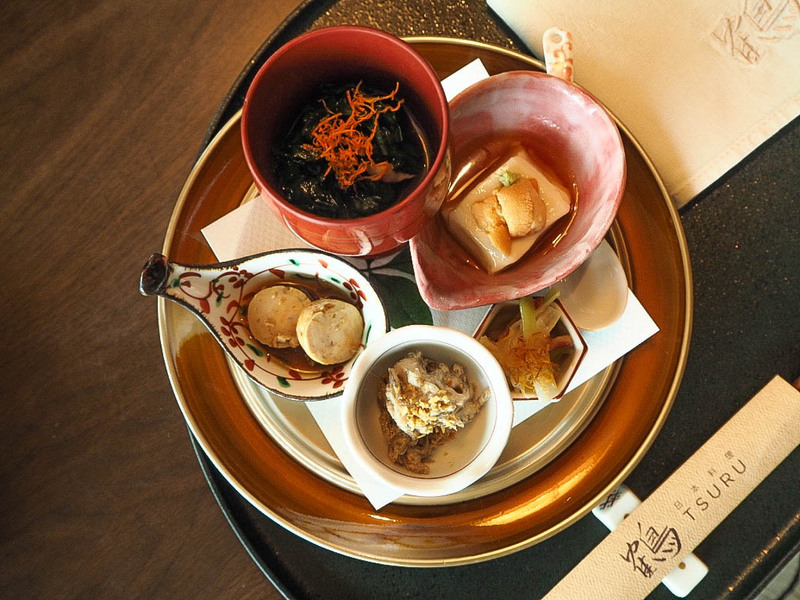 This sort of meal allows the chef to show off multiple skills and techniques that exemplify the food of the country, and the chef in this case is one of the best in the business. 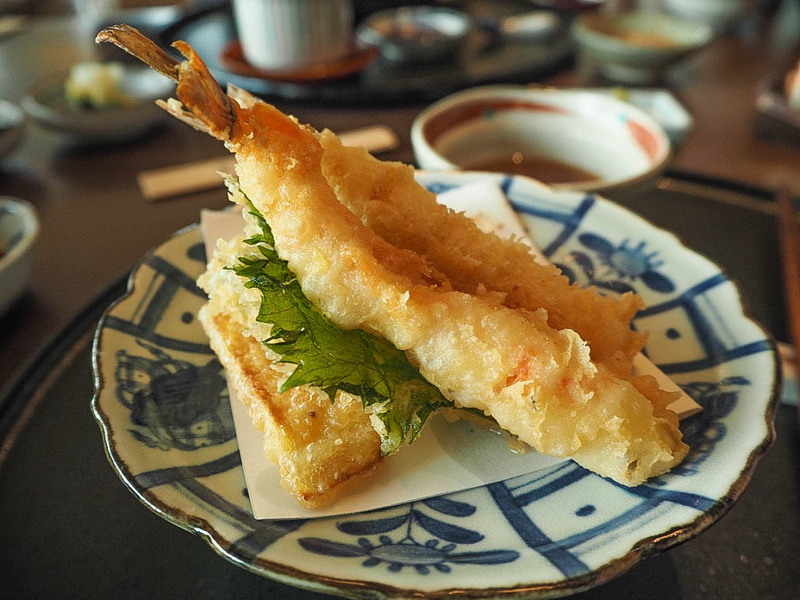 Masami Honda has over 50 years experience in the kitchen and is world-famous on his insistence of quality ingredients and homemade sauces. 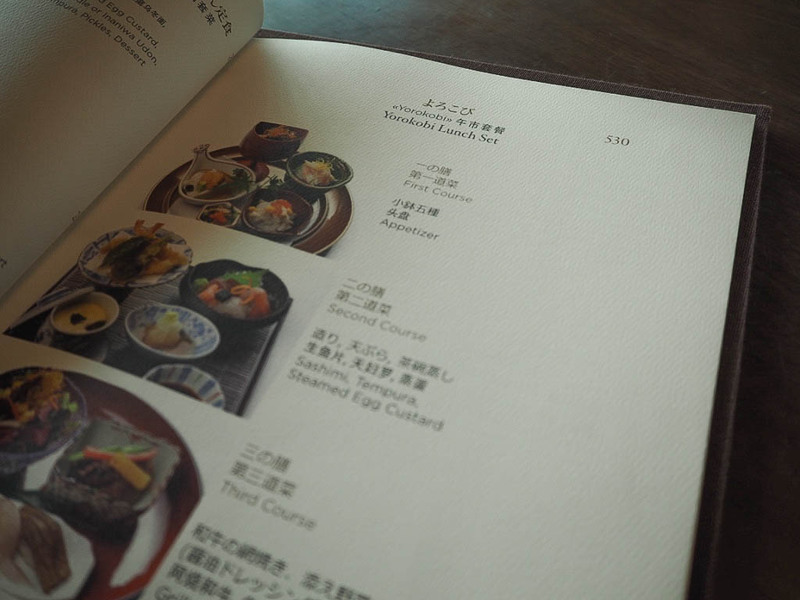 We had the Yorokobi Lunch Set, plus some other dishes recommended by the staff, and I’ll be honest the amount of food we had was almost overwhelming. All were exquisitely presented and an absolute delight to look at as well as taste. 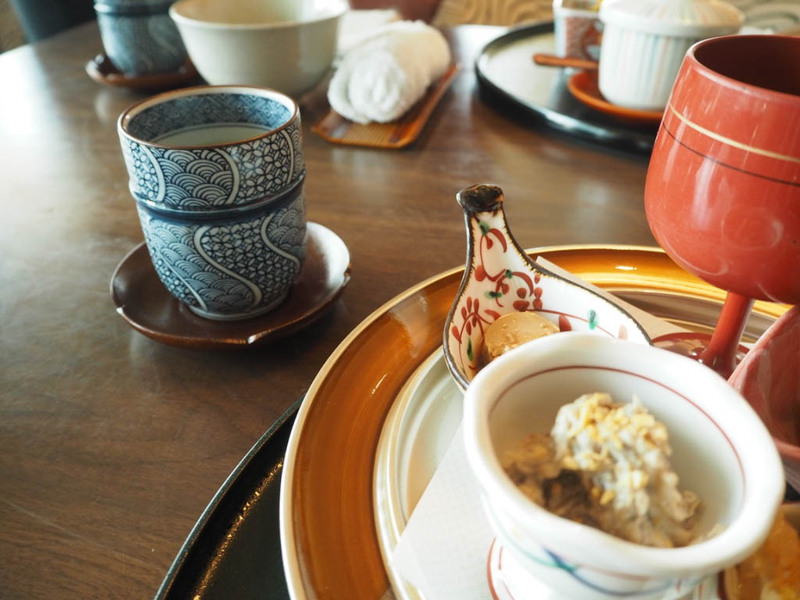 We started off with an appetiser selection where we had the most unbelievably soft tofu. I mean so soft that I struggled to pick it up with chopsticks because it just slipped right through and then melted in my mouth. It was unreal. Moving onto a sashimi selection, the demands of the head chef become clear. This is quality of fish that I hadn’t yet experienced in China, or in fact many other places. 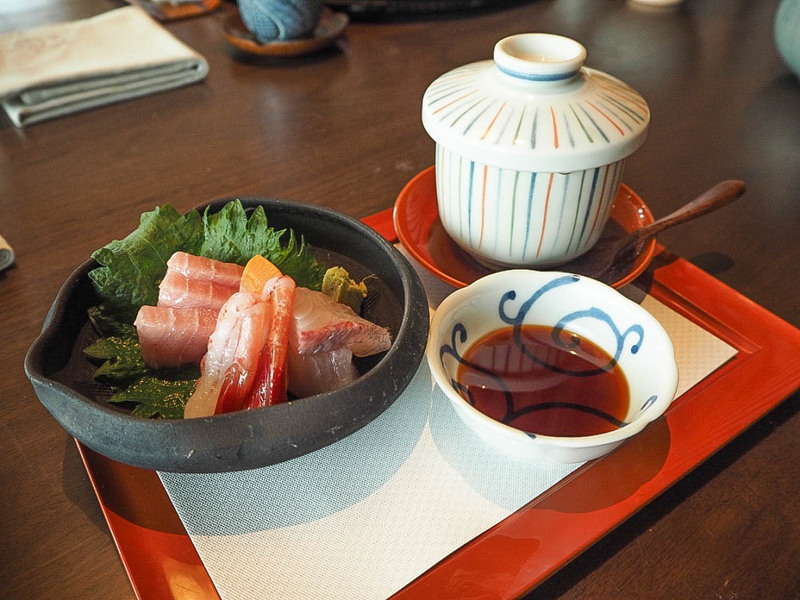 Delicately sliced, there wasn’t any need for accompaniments because if you’re a fan of fish, the fresh and uninhibited flavours of this will completely rock your world. 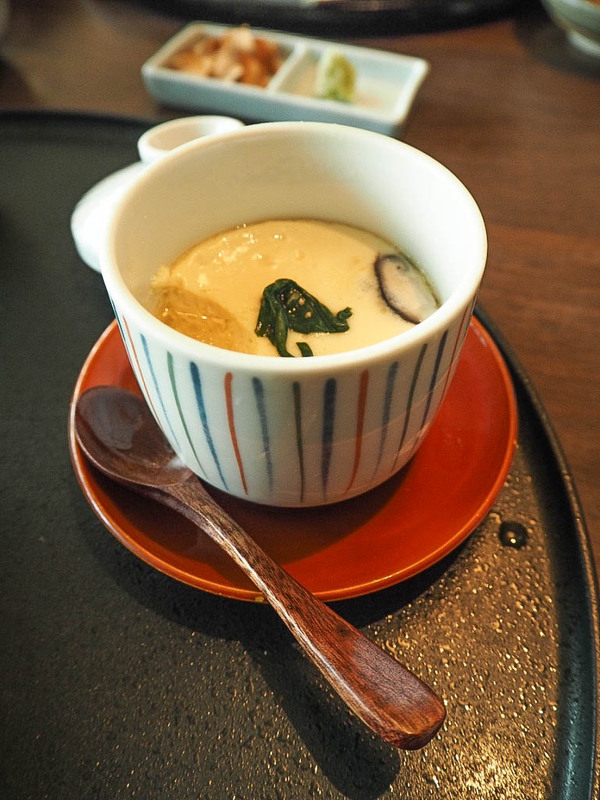 The signature steamed egg custard was an unexpected joy; again, soft and simple. 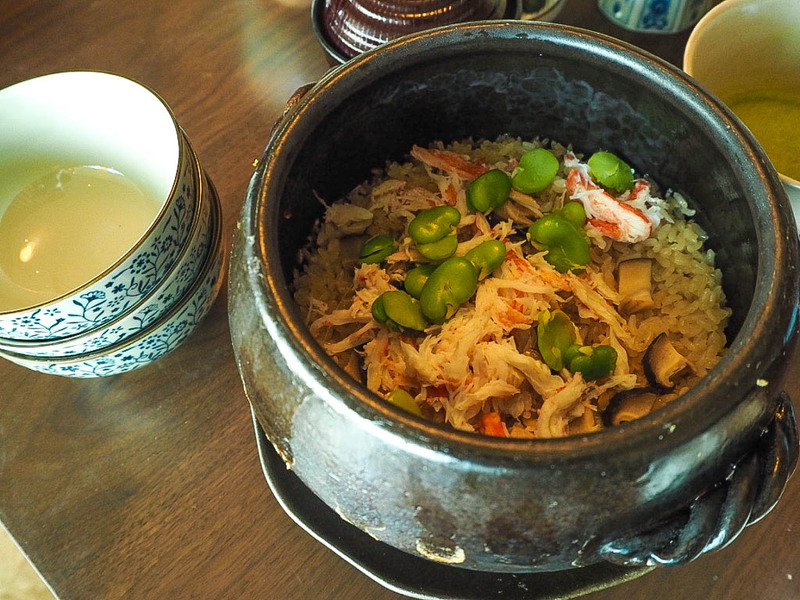 Somehow we moved on to tempura prawns which provided a well needed change in texture with its glorious crunch, and started dipping into a take on claypot rice with crayfish, mushrooms and edamame (with a good slosh of soy sauce over the top). 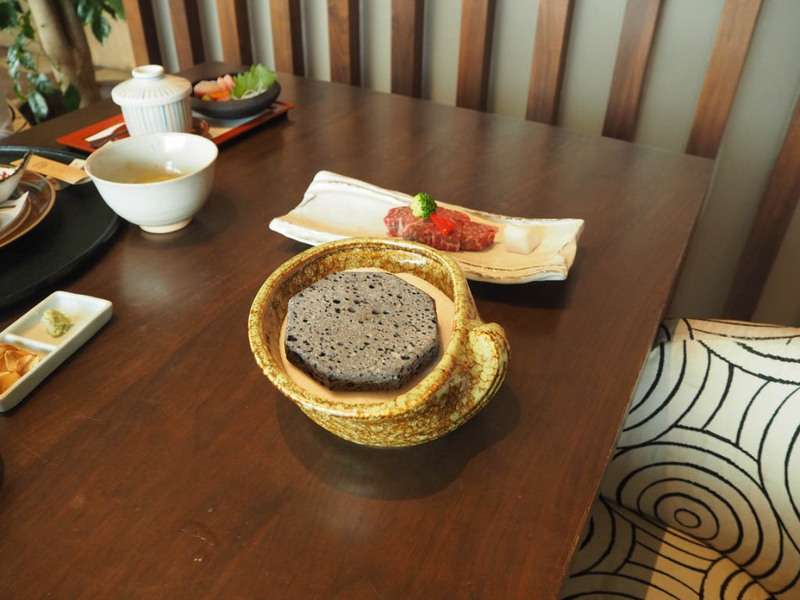 The stand out dishes for me though were the crab sushi and the wagyu beef. The former had crispy crab over the top and were dotted with caviar beads and is hands down the best sushi I’ve ever had. If I find anything anywhere near as good as that on my trip to Japan, I may never come home. 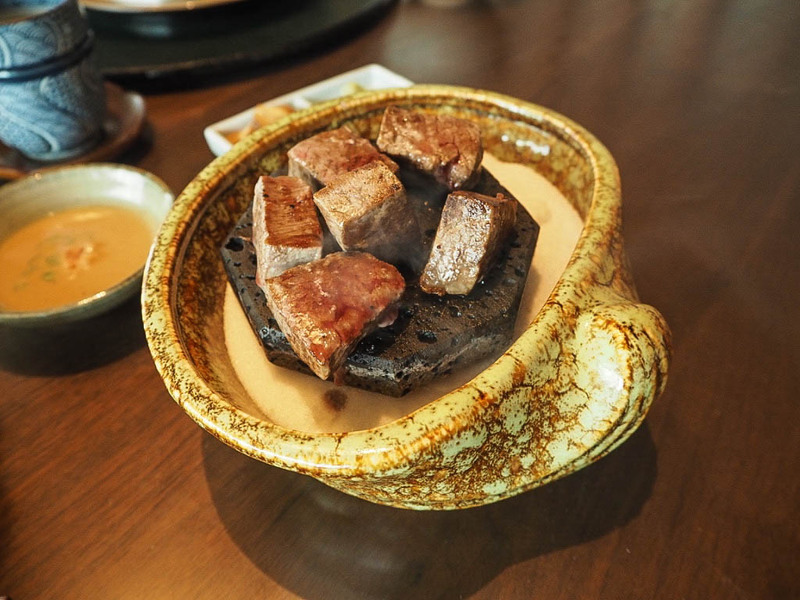 The wagyu beef was cooked on a hot stone at our table and both my friend and I literally exclaimed out loud when we tasted it. Rich, soft, absolutely beautiful. 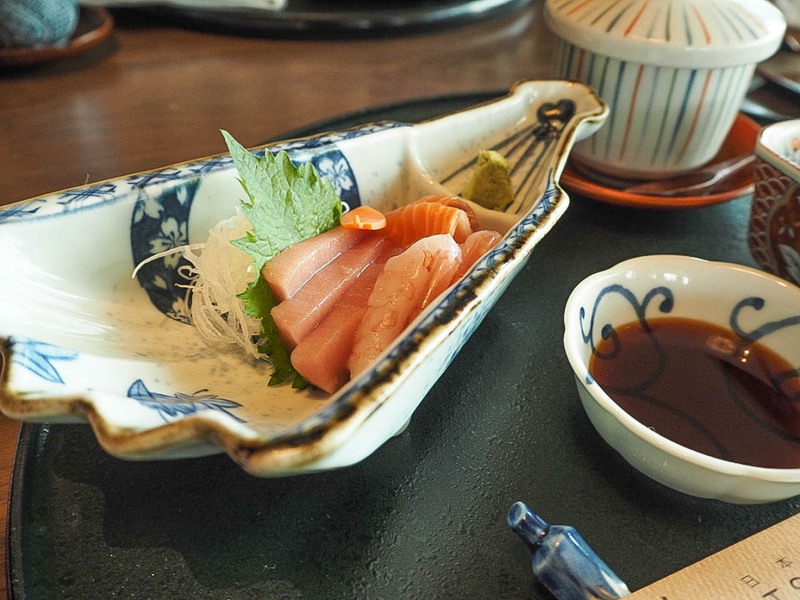 Lunch at Tsuru is decadent but not pretentious. 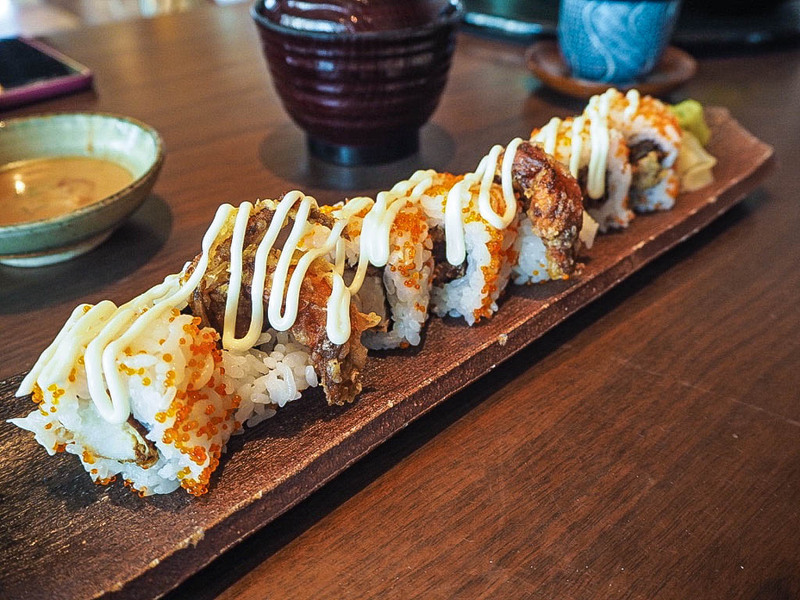 It makes stunning Japanese food accessible for those who may be sceptical and a dream come true for those who are already converted. 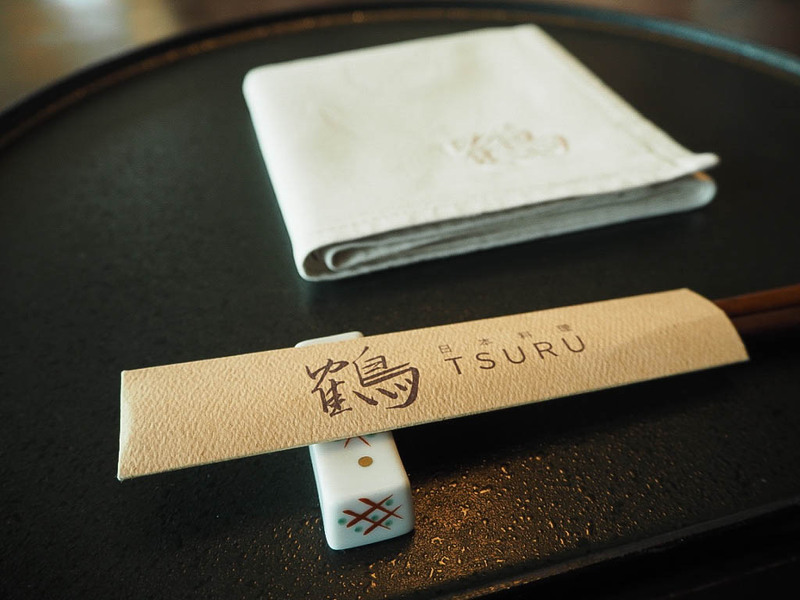 Whether you’re staying at the Shangri-La hotel or not, if you’re in Shanghai then Tsuru should be high up on your to-eat list.